Each star in this worksheet has a word inside. Can your first graders tell which of these words have long-vowel sounds? 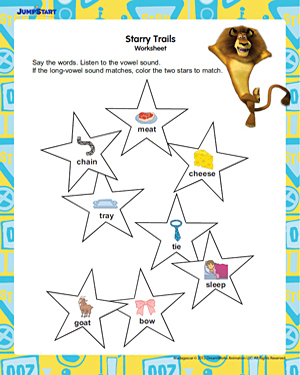 Get your little ones to read out each word aloud and listen to the sound of the vowels. The stars with similar sounding long-vowel sounds will be colored the same color.